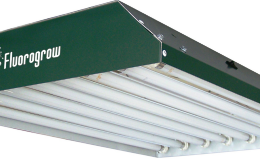 This T5 grow light system is manufactured by a company called iPower Lighting, which is a US based light manufacturer, that is one of the leading players in grow light production. iPower distributes their products all over the world meaning that many grow light users from the US to Europe and Asia are using iPower grow light systems, grow light accessories and digital ballasts, of which iPower are especially proud or and calls their best and most refined product. Lights from iPower are suitable for all and affordable by all weather you are a professional gardener or just starting out your plant growing hobby. 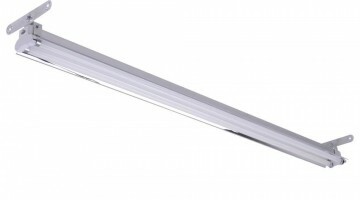 This T5 grow light with the light stand is an energy efficient high build quality light meaning that with it you will be not only able to save electricity but will be able to use it for a long time and not deal with broken lights or light stands. 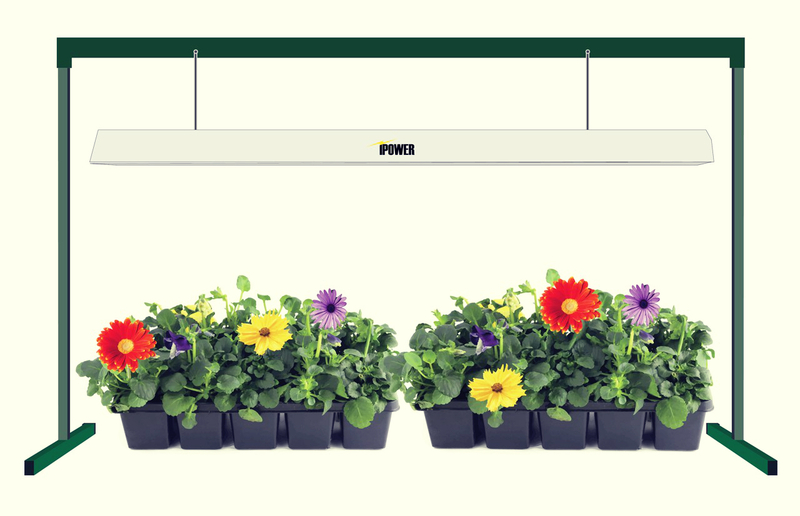 In fact with this particular grow light system you will be able to pay for just 54 watts of electricity while getting double the usual light power and using it on plants from their beginning stages up to their yield. 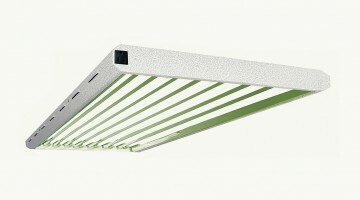 Some of the best features that this light fixture have are an easily accessible on and off switch that will make it simple to power the light, a daisy-chain option to link more than two lights together and expand your grow operation, and the fact that the light is great at heat management therefore won’t get hot even if you use constant 18/6 hour light cycle on your plants so there are no chance of any heat problems in your grow room or heat damage to your plants. 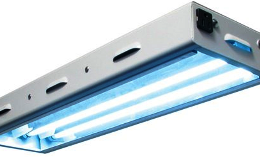 The housing of this light is made out of only the best and highest grade steel that is powder coated in white color to give the light that classic grow light design. But because this grow system features a single bulb T5 fixture it’s shape isn’t the typical rectangular but more resembling a triangle with the grow light ballast on top that flares into the housing that contains the reflector as well as the bulb. 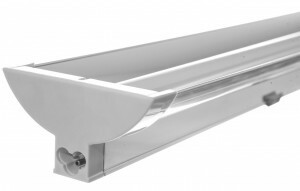 Speaking of the reflector and ballast this fixture have the top grade aluminum ballast that is in wide angle so it will let the light cover bigger area and provide plans that are under the light with the best and brightest light possible. As for the ballast that is installed into this high-output fixture, it is a premium quality ballast that is made with advanced technologies to provide best power management and quick illumination once the light is turned on. 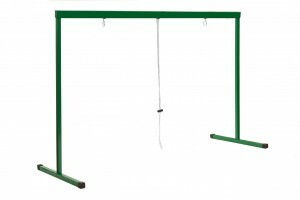 This system is different from other similar single bulb T5 grow lights because on top of having an energy efficient T5 fixture it also has a grow light stand that features a feather-tough height adjustment mechanism that makes it easy to rise and lower the T5 fixture and adjust it to fit your plants needs. And the same stand also allows you to have multiple different options when you are hanging the light up so you have variety and you can really fit the light to your grow operation and not the plants to the light which is just wrong. The maximum height that the fixture can be hung up is 30 inches from the surface the grow light stand rests on, but you can also not use the stand and then you will be able to hang the light from your ceiling or other similar contraption. 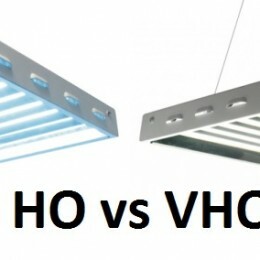 Although the fixture can hold only one single HO T5 bulb of the 4 feet length it still manages to provide full light coverage for up to 4 smaller plants or two bigger plants meaning that with this light it will be enough not only for starting seedlings, but as a full time artificial light for your grow lights or additional light for plants in the winter season. 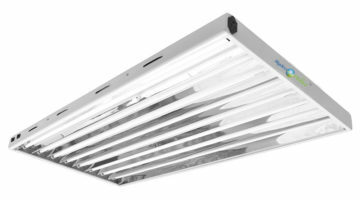 The size of this grow light is approximately 50 by 18 and a half by 30 inches (127 cm x 46.99 cm x 76.2 cm) and it weights about 7 pounds (3.17 kg) which means that because it is a single bulbs fixture it isn’t the biggest fixture and will fit in nicely even in smaller spaces such as kitchen cabinets and similar spaces.